We have been printing a lot of posters at ABNRML but have not been too diligent with the blog and store! Things are going to change with that and expect a whole back log of awesome posters to be blogged and put up soon! 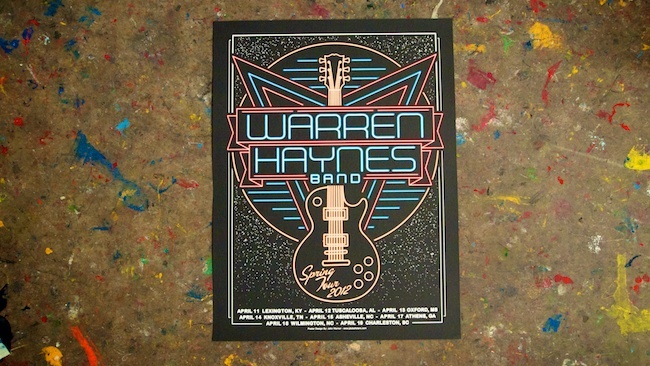 First off, check out this awesome J Dub All Stars Warren Haynes print for his 2012 Sping Tour. It is a 19"X25"5-Color print on black French Paper cover stock. It was available on tour.